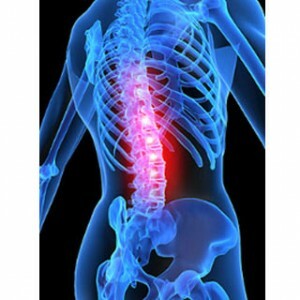 Chronic back pain is a serious condition that many Americans suffer from today. Finding the right treatment that has long term benefits is difficult and in some cases impossible. Today a very common treatment for chronic back pain is giving home exercises which have shown to have limited effectiveness. Another common treatment modality for chronic back pain is spinal manipulation, or what we call the chiropractic adjustment. Chiropractic care has shown to be very effective in treating chronic back pain in many cases. A recent paper published in the Annals of Internal Medicine found spinal manipulation plus exercise better for chronic back pain than home exercise alone. In this study the researchers enrolled 191 patients with chronic back related leg pain and followed them through a course of 12 weeks of care followed by a follow-up visit 52 weeks after the start of the 12 week treatment period. The data showed that the group who received spinal manipulation with home exercise had better results in pain improvement, function, satisfaction, and medication use over home exercise alone. At 52 weeks the spinal manipulation group continued to have improvement over the home exercise alone group but did see a 3% worsening of symptoms. This study shows us that spinal manipulation with exercise is far better for patient care than home exercise alone. In our practice we do in office exercise with spinal manipulation and find our results are far better than the days that we adjusted alone and prayed our patients did their exercises at home. Exercise plus manipulation is your best option to treat chronic spine pain especially since the medical community is leaning more heavily on pain drugs that are stronger with wore side effects and greater risk for abuse. Exercise to improve your posture yields great long term benefits better than general exercise, I will post a study that supports this as soon as it is published here sometime very soon. If you want to learn more about how we manage our chronic spine patents using our unique methods, email or call me, I would be happy to talk to you.